Relax into the quiet intimacy of an award winning early 1900 restored Dutch farmhouse located in a pastoral setting in the central part of the Door County Peninsula. 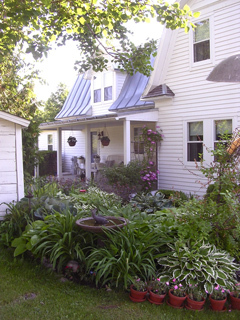 The Inn at Windmill Farm is in a quiet area close to all that Door County has to offer. The inn is situated on ten acres with the original well house, windmill and barns. Orchard, gardens and long country views are part of the environment at Windmill Farm.